Thread: Wanted to share my biggest Braun pick up ever ... RED INK!!! 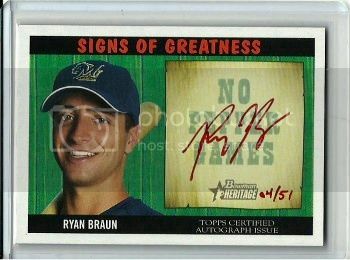 Got this in the mail today ... and couple that with Braun's signing a mega extension to stay with the Brewers thru 2020! A pretty amazing day to say the least. Re: Wanted to share my biggest Braun pick up ever ... RED INK!!! LOVE the Braun Red inks. (not much of a secret) Nice pick up!!! Thanks bud ... can't wait to get more! sunday bump .... still excited to share! Sick card. Sending you a pm. Thanks again buddy! 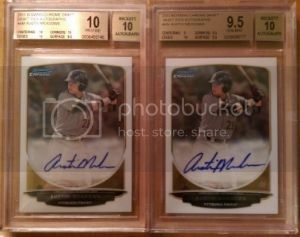 It hurt selling auto's of my favorite player but I think the end result speaks for itself! Congrats on the pick up! 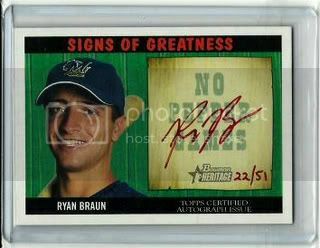 Can't beat a beautiful on card auto. 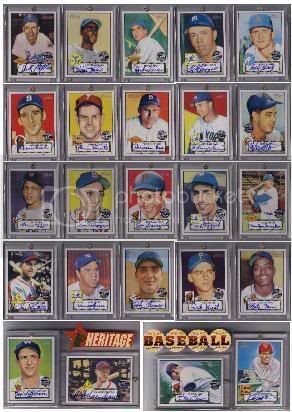 Here is my on card auto collection! 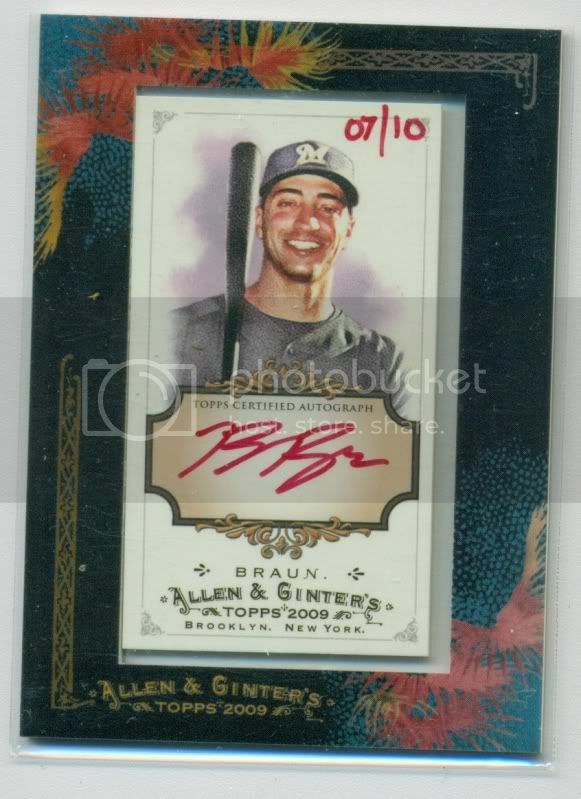 I'm partial to the Ginter Braun's but that is a nice card and Braun is having a great year. Nice card.I love that set.I put together the whole blue ink set.